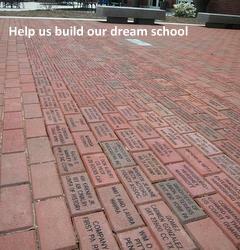 Memorial Bricks are being sold to raise funds for the Assumption Catholic School 50th Anniversary next year. Each brick can be personalized as a memorial for a family or loved one. The cost is $50.00 per brick. For information call the rectory at 732-826-0767, or chairman Rozalia Czaban, 973-763-4273.PLEASE SEND COMPLETED FORM AND CHECK payable to Assumption Catholic School to Assumption Rectory at 684 Alta Vista Pl, Perth Amboy, NJ 08861. THE FORM CAN BE FOUND ON THE SCHOOL WEBSITE www.assumptioncatholicschool.net. Don’t miss this fantastic opportunity for your family to become a PERMANENT part of the new building project. We are waiting for YOU. The following is a list of people/students who already purchased a brick.